Does technology drive people further apart or pull them closer together? The latter is true, according to a recent study by Facebook IQ. Facebook IQ arrived at four basic findings. ODA is the new PDA: Online displays of affection are the new public displays of affection. Facebook IQ found that 67 percent of the users surveyed agreed that the Internet has made long-distance relationships easier, with that figure rising to 82 percent in Nigeria. One respondent shared the story of Squeak and Quackers: “The last time I saw my boyfriend, we shared (an egg-shaped candy with) two small duckling figures. Mine was dubbed Squeak, his is Quackers. We take photos of our respective figurines in various locations … and send them to each other via private WhatsApp or Messenger. 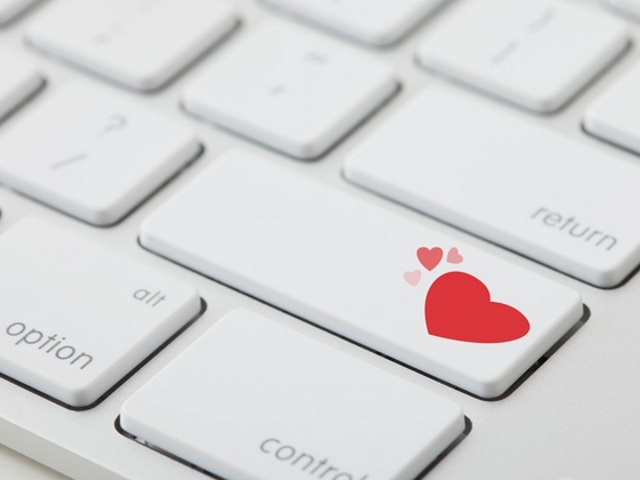 All you need is love … and tech: More than one-half of respondents in Nigeria, South Korea, the U.K. and the U.S. use online dating websites or applications, with one out of five doing so regularly. Facebook IQ found that 61 percent of online daters in its survey said dating websites and apps have made it easier to find compatible dates and 45 percent believe people are more likely to find compatible partners online than offline. Home is where the WiFi is: More than one-half of respondents in Nigeria, South Korea, the U.K. and the U.S. believe the Internet allows them to feel at home no matter where they are, with Facebook IQ finding that friendship-related keywords such as “best friends,” “friends for life,” “like old times,” “tbt” and “throwback Thursday” were used an average of 134 percent more in Nigeria, South Korea, the U.K. and the U.S., with that figure soaring to 185 percent for those 65 and older. A virtual birthday party via Instagram is pictured below. Celebrate relationships in creative ways: People are increasingly going online to fulfill the human want and need to connect with everyone from their loved ones to new romantic interests and old acquaintances. Brands should think creatively about ways to highlight and celebrate meaningful moments in people’s relationships. Adapt millennial trends for older generations: Millennial behavior isn’t just for millennials anymore, especially online. From habits to hashtags, identifying trends popular with millennials can help brands lead the adaptation for Gen Xers and baby boomers. Connect in a new online marketplace: As more and more rituals are reinvented online, new marketplaces will spring to life. Brands can seize these opportunities by strategically thinking about how their own products and services can become a part of such marketplaces. Readers: What are your thoughts on Facebook IQ’s findings?